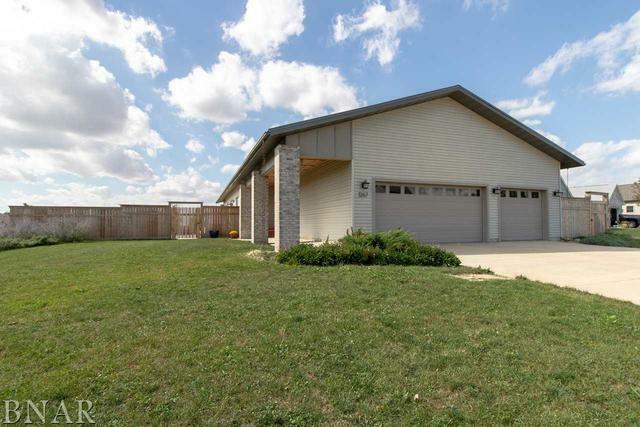 Welcome to this 5 bedroom 3 bath modern home in Park West. This home features an open floor plan with tons of natural light, 2 sliding glass doors and a lake view with wood floors throughout the main level. The eat in kitchen offers a huge island with plenty of counter top and cabinet space. There are 3 bedrooms on the main floor and 2 more in the lower level. 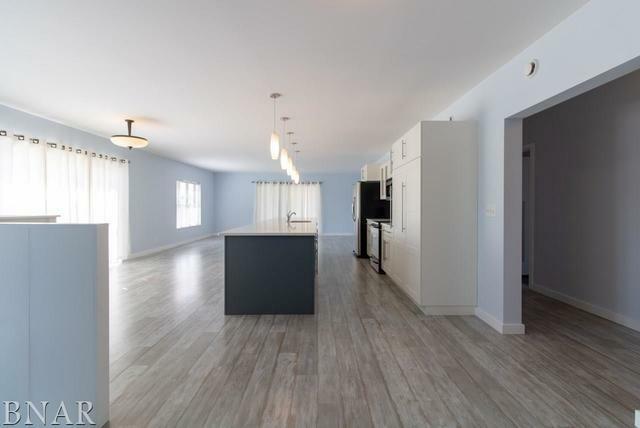 Enjoy the extra living space in the lower level with a huge open area and wet bar perfect for entertaining friends and family. 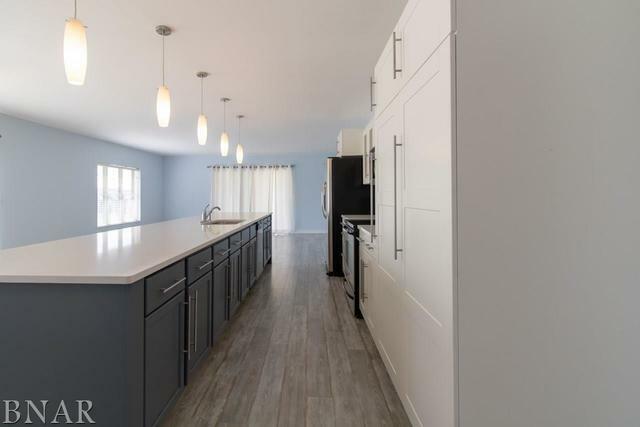 Outside you will find a large wrap around porch, a 960 square foot 3 car garage that is 1 1/2 deep and roof equipped with solar panels which produce over $1200 in electricity each year. This home is move in ready!